Even though Hillary Clinton is now the presumptive nominee of the Democratic Party, Bernie Sanders' supporters are still pushing to get rid of superdelegates. U.S. Rep. Tulsi Gabbard posted a petition on Facebook on Saturday to end the superdelegate process and encouraged all of her followers to sign it. 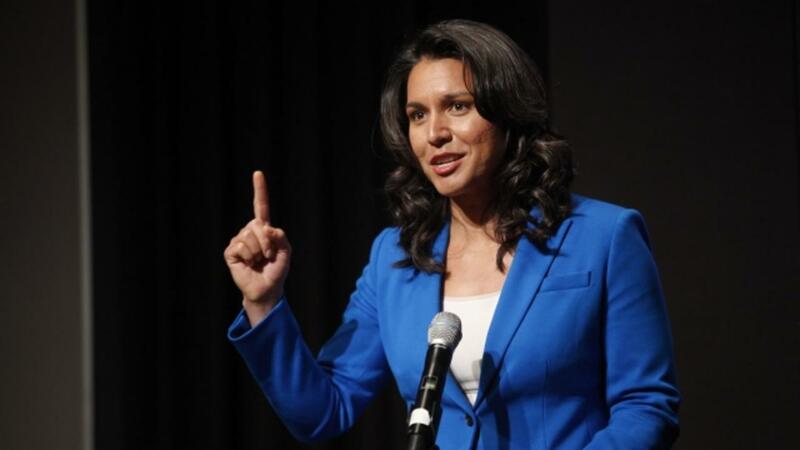 In the Facebook post Gabbard said, "Whether you are a Bernie Sanders supporter or a Hillary Clinton supporter, we should all agree that unelected party officials and lobbyists should not have a say in who the presidential nominee of our party is." Gabbard publicly endorsed Sanders back in February after resigning as vice chairwoman of the Democratic National Committee. Superdelegates have been a major issue of contention in the Democratic primaries, with Sanders often calling for the system to be dismantled. Every Democratic governor, Democratic member of Congress and all elected members of the Democratic National Committee are automatically superdelegates. That's a lot of the Democratic establishment that lawmakers like Gabbard and Sanders are fighting, but they're not alone. At a state convention Saturday, the West Virginia Democratic Party passed a resolution that called for the elimination of the superdelegate system. They also called on national party Chair Debbie Wasserman Schultz to resign, saying: "If she does not resign in a timely manner, we call on the Democratic National Committee [to] take whatever steps are necessary ... to remove her and install a new chairperson." Hillary Clinton, Bernie Sanders and beyond: Where do Democrats go from here?